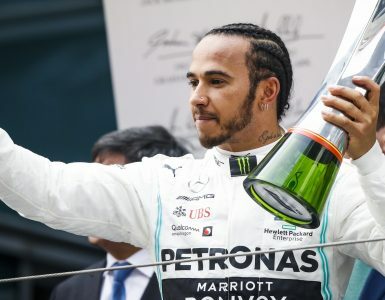 Lewis Hamilton extended his lead in the drivers’ championship to 30 points over Sebastian Vettel after pipping Kimi Raikkonen to victory in a dramatic Italian Grand Prix. In doing so, he equaled Michael Schumacher’s record of five wins at the Autodromo Nazionale di Monza. 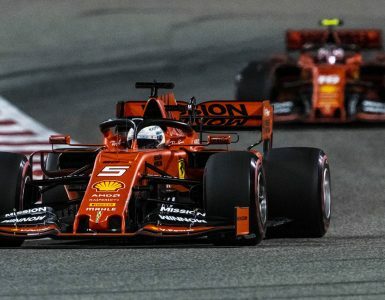 In a season that has seemingly had more twists than a forkful of Italian spaghetti, Vettel could only manage fourth after being tipped into a spin on the opening lap in an attempt to defend second place from his arch rival. Valtteri Bottas completed the top three on the podium after Max Verstappen was handed a penalty for causing a late collision between the duo, Vettel promoted to fourth as a result. Romain Grosjean was initially awarded sixth, ahead of the Racing Point Force Indias of Esteban Ocon and Sergio Perez. But, following a protest from Renault about the legality of the Haas car’s floor, the Frenchman was later disqualified from the results pending appeal. It meant that Lance Stroll and Sergey Sirotkin rounded off a positive weekend for the Acronis-backed teams, the Williams duo grabbing the final points finishes of the day. 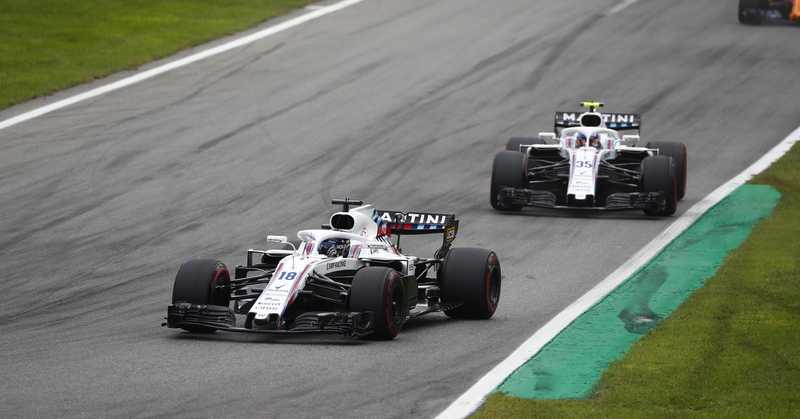 Lance Stroll leads Sergey Sirotkin at the 2018 Italian Grand Prix. © Sam Bloxham/Williams F1. “Firstly, I want to give it up to Ferrari who put up a big challenge this weekend,” said a delighted Hamilton afterward. “They really did an amazing job and gave us such a great fight. Secondly, I want to say a huge thank you to the guys and the people back home because without their support, without their continued efforts, this wouldn’t be possible today. Raikkonen had not won a race since Australia 2013, but gave himself the greatest possible chance at the circuit known in F1 circles as the ‘Temple of Speed’, setting a new circuit lap record to put himself on pole after a gripping Saturday of qualifying. With that achievement, he became the oldest man to do so since Nigel Mansell back in 1994. But the prize he really coveted was the race win, something he has now not achieved since 2013. As so often happens, the die was cast after a dramatic start to the race. Sensing the need for a strong opening salvo, Hamilton pounced immediately, taking Vettel around the outside of Curva Grande and inadvertently tipping his bitter rival into a spin and relegating him to the rear of the field. With a pitstop required for a new nose, it effectively ended the German’s chances of repeating his Belgian GP win. Having escaped the penalty of potentially unsafe release, Vettel pitted set of yellow-banded soft tyres to take him to the end of the race. Upon the restart, it was Hamilton who wasted no time whatsoever in slipstreaming past Raikkonen into Turn 1, the Finn immediately responding to slingshot back into the lead into Turn 3, to the delight of the assembled Tifosi. Stroll and Sirotkin were also fast starters, the Williams duo hungrier for points then they even were for the cuisine of renowned chef Michael Caines, who was on hand to cook for the team over the race weekend. With Raikkonen maintaining a less than comfortable lead over the Mercedes, the race result was always going to boil down to the all-important series of pit stops. And it was the Ferrari that was first to roll the dice, pitting for soft tyres on lap 21. So, it was the usual ‘Hammer Time’ for Hamilton, the Englishman dialing in some fast laps before his critical stop. And when Daniel Ricciardo’s smoking Red Bull ground to a halt on lap 25, the threat of a safety car would have given the Englishman the upper hand. As it was, the swift service of the track marshals saved Raikkonen, a 2.4 second stop for Hamilton putting him back out behind the Ferrari. 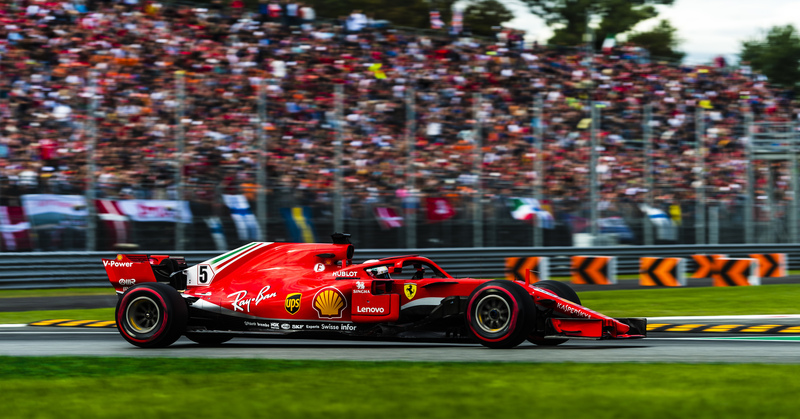 Sebastian Vettel of Ferrari during the 2018 Italian Grand Prix. © Ferrari F1. It was then that the Mercedes teamwork came into play, Bottas doing a fantastic job of holding up Raikkonen and backing him into Hamilton’s clutches. Job done, Bottas peeled off on lap 37 to make it a barnstorming straight fight to the chequered flag. And with the fresher tyres for the remainder of the race, Hamilton made his move on lap 45, pulling off a lovely move around the outside of Turn 1 with DRS, the sporting Raikkonen allowing him the space when contact could have resulted in an unfortunate end to the race. It was a dramatic finish to a dramatic race. Ferrari has now not won the Italian Grand Prix since 2010 when Alonso won from Jenson Button’s McLaren and the second Ferrari of Felipe Massa. With speeds topping 215mph, the high speed Curva Grande, like Belgium’s Eau Rouge and Suzuka’s 180R is one of the ultimate tests of a Formula One car’s strength. A high-speed corner puts a huge amount of stress on the car’s tyres, the rubber on the tread being heated to around 120 degrees, hot enough to fry an egg. The suspension on the car is also given a rigorous test and needs to withstand a cornering load of approximately two and a half tonnes on the rear wishbones, around the weight of an SUV. Most of all, as circuits such as Monza, having a good and reliable engine is the key to success. With the old V8 engines, attrition rates were much higher than with the new Hybrid Power Units and the sight of smoking engines a regular occurrence. Today, cars can complete a race with the same power as back in 2013, before the regulations changed, but by using only two thirds of the fuel and with a turbocharged V6. The change from the V6 engine to the new Hybrid Power Unit came about as a way of promoting F1 as a greener and more ‘eco-friendly’ sport by reducing CO2 emissions and reducing costs by limiting fuel consumption. It means that drivers sometimes have to kerb their natural aggression and back off to go into fuel saving mode to stay within the parameters. The Engine Recovery System (ERS) was the biggest change from the old V8. By harvesting heat energy from the exhaust and under braking that would usually go to waste and then redeploying it, it provides a boost of 160bhp a lap – a whopping 10 times as much energy at twice the power as the systems they replaced. The issue of cost is a fine balancing act. Because the new Hybrid Units are significantly more complex, housing a turbocharger, fuel injection system and electronics, production costs have in fact risen from around £220,000 to £550,000. 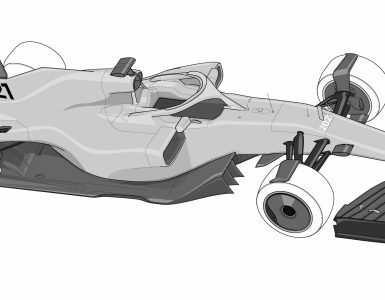 But although engine changes carry grid penalties, teams will typically now get through only half the amount as before and thus it pretty much evens out. The ERS Unit now comprises two motor generator units (MGU-K and MGU-H), plus an Energy Store (ES) and control electronics. Under the Sporting Regulations, “each driver is permitted to use only four of the six power unit elements during a single season. Should a driver use more than this, a grid penalty will be imposed. The six elements are the internal combustion engine (ICE), the motor generator unit-kinetic (MGU-K), the motor generator unit-heat (MGU-H), the energy store (ES), turbocharger (TC) and control electronics (CE). 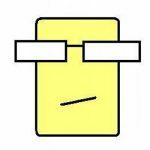 Although it’s a marginally less complicated system for fans to follow than the engine token format that preceded it, for most fans of the sport, the most noticeable change to the engines from the old V8 is the reduction in sound. The very high rpm of the old engines produced a high frequency but because the new engines run slower and have fewer cylinders, they fire at three quarters the rate of the V8. Turbochargers also play a role, the extraction of energy from exhaust gasses also reducing sound intensity. Top image: 2018 Italian Grand Prix. ©Steve Etherington.